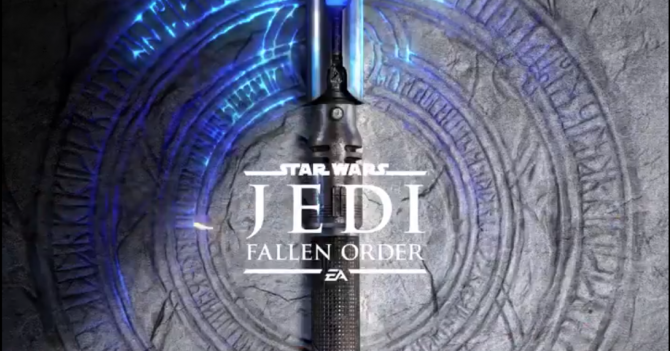 Ahead of its official reveal this Saturday, it seems a new poster for EA and Respawn’s Star Wars Jedi: Fallen Order has leaked in a rather strange way. 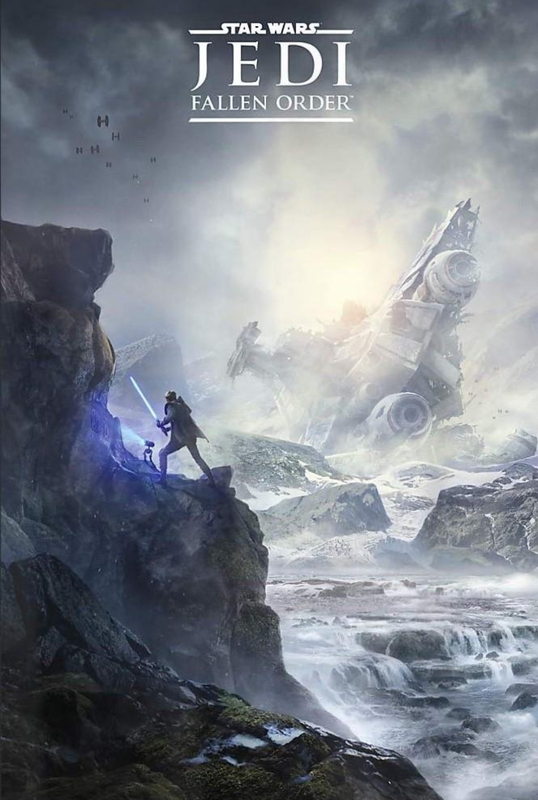 Over on Amazon today, a new T-shirt containing a teaser poster for Star Wars Jedi: Fallen Order was made available for sale. While it would be easy to write this off as being potentially fake, the shirt itself was available through the official Star Wars Amazon storefront, meaning this is pretty much official. Considering Star Wars Celebration officially kicked off today in Chicago, there’s a chance that the shirt went live on the site by default as the convention began. It’s worth noting that in the middle of writing this article, the listing for the shirt was promptly removed. Luckily, the poster itself that appeared on the shirt can be seen in the image at the bottom of this page. 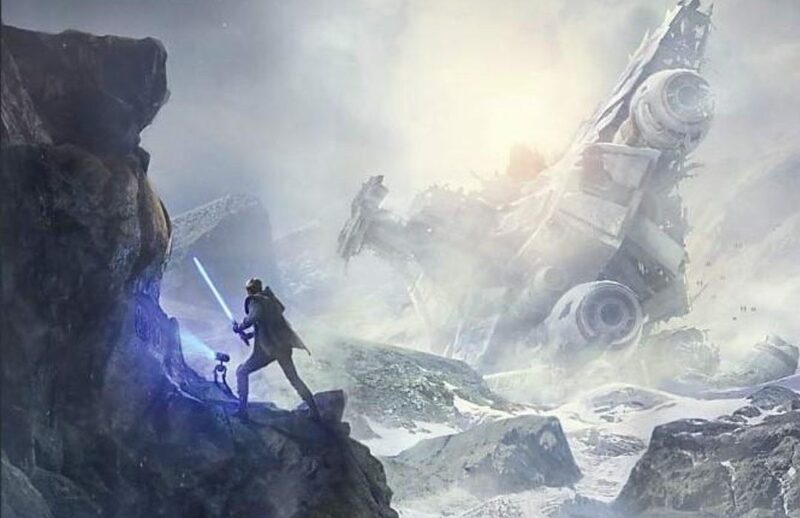 As for what we can see from the poster, we see a character standing on a cliffside holding an ignited blue lightsaber. This is most likely the protagonist of the game, which is said to be a Padawan. At the character’s feet, we can also see a robot while in the background there looks to be a crashed Star Destroyer. There’s not a lot of information to glean directly from this image, but it’s a cool tone piece to be certain. We’ll surely see this image officially revealed in the coming days and that listing for the shirt on Amazon will probably go live again soon if you actually wanted to buy it for yourself. 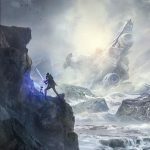 The stream that is set to officially reveal Star Wars Jedi: Fallen Order is set to take place this Saturday, April 13, at 2:30pm EST/11:30am PST. 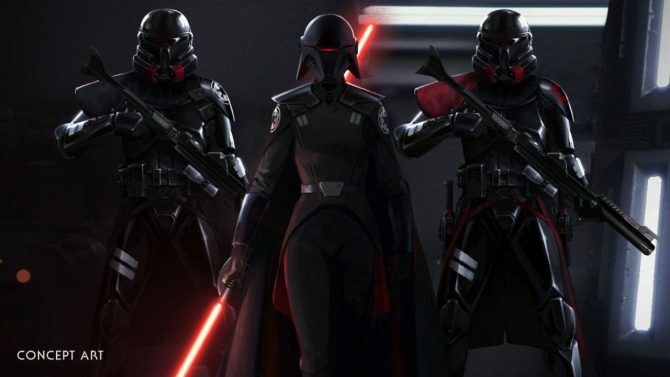 Players who pre-order Respawn's Jedi: Fallen Order will get access to some unique cosmetic equipment for their lightsaber and droid companion.